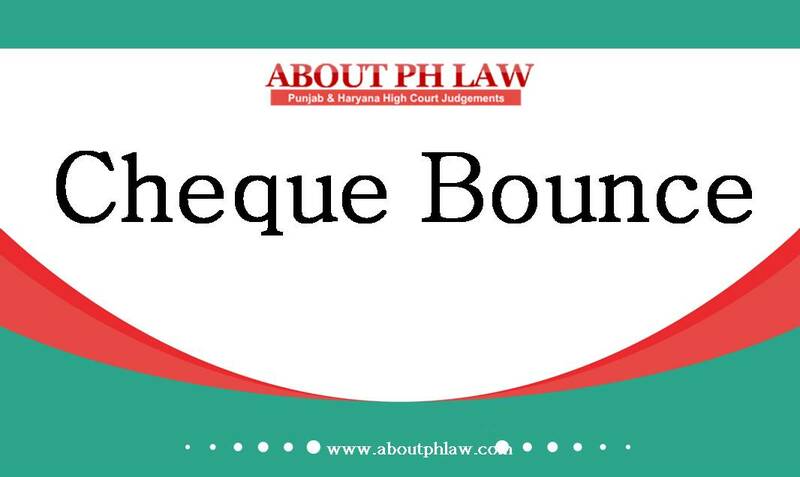 March 16th, 2019 | Comments Off on Dishonour of Cheque—Blank Cheque—Subsequent filing in of an unfilled signed cheque is not an alteration. Dishonour of Cheque—Presumption of debt—The existence of a fiduciary relationship between the payee of a cheque and its drawer, would not disentitle the payee to the benefit of the presumption under Section 139. November 28th, 2018 | Comments Off on Indian Penal Code, 1860, S.174-A–Proclaimed Offender-Quashing-Dishonour of Cheque-Petitioner was not served in the case because of non-furnishing of the correct address by the respondent—Thus impugned order declaring the petitioner as proclaimed person and directing the SHO to register FIR is not sustainable-Impugned order quashed-Negotiable Instruments Act, 1881, S.138. November 10th, 2018 | Comments Off on Negotiable Instruments Act, 1881, S. 138—Dishonour of Cheque- Compounding of Offence—Imposition of cost as suggested in Damodar S. Prabhu’s case by the competent court is a matter of discretion-Court can reduce the costs with regard to specific facts and circumstances of a case while recording reasons in writing for such variance.